Have I ever told you I LOVE snowmen. I don’t know what it is about them that drives me to them. Maybe its the dream of a white Christmas, or childhood memories of playing in the snow, or just watching the snow fall when there is a full moon. Living in warmer climates, I don’t get to experience snow much. And now that I am moving to Florida, snow will be not be expected for a long time. But that’s okay. Every December I pull out my snowmen collection. 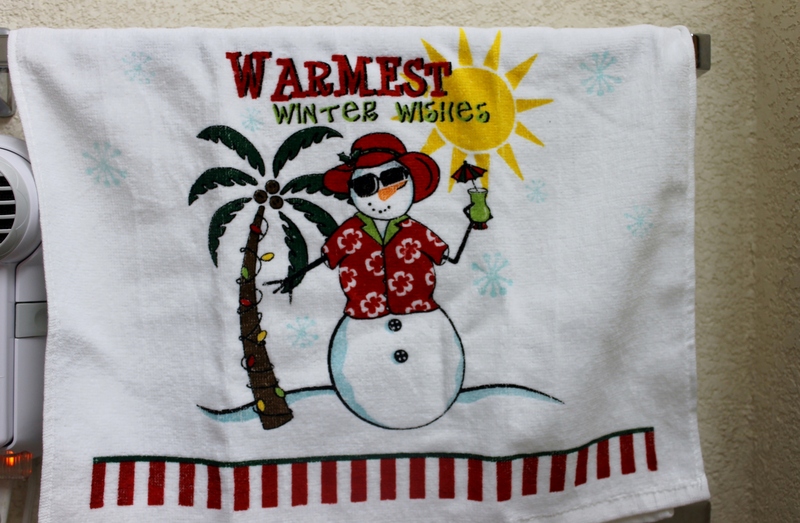 Now I have a new item… a Florida snowman towel. Isn’t he cute! This entry was posted in Ramblings and tagged Birthday, gift, snowman. Bookmark the permalink.